Designed for permanent mounting to the wall or in a wall opening. 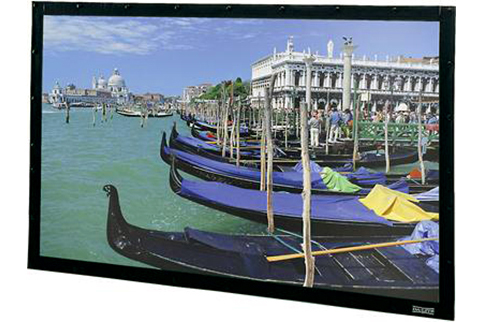 Front or rear projection surfaces snap easily on to the front of the silver aluminum frame. Flat back and sides for easy installation. Provides a perfectly flat viewing surface for graphic and data video projection. Audio Vision, High Contrast Audio Vision and High Contrast Cinema Perf fabrics up to and including 8' high will be seamless.